Implemented in 2009, this program focuses on contributing to the restoration of the vegetation cover and promoting connectivity between Pau Brasil National Park and Monte Pascoal National Park in Southern Bahia. The initiative has received funding from several institutions, including Natura, TNC, Instituto CO2 Zero, Coelba, KFW Bank aus Verantworking, Petrobras, and is also supported by local landowners, Veracel Celulose and ICMBio. Collaboration with the managers of protected areas. 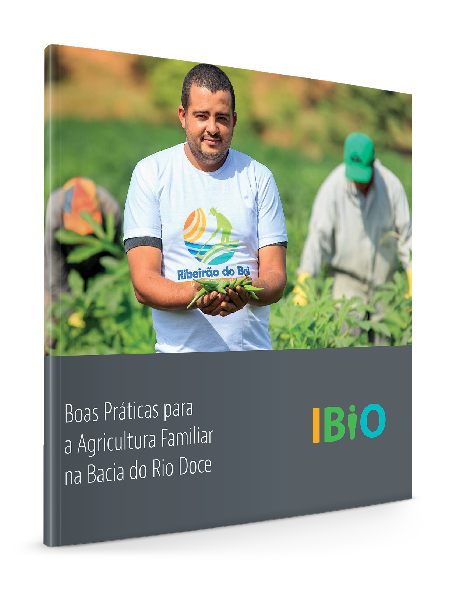 Baixe agora a cartilha “Boas Práticas para Agricultura Familiar na Bacia do Rio Doce” e tenha acesso às tecnologias, análises e metodologias que poderão ajudar a aumentar a capacidade de contribuição e inclusão da agricultura familiar nas práticas sustentáveis.